GLENVIEW, Ill. - On Labor Day evening as Birdies for Charity event co-chair and Host Pro, Chris Gumbach, watched the skies open and the rain-soaked River Forest Country Club go from playable to unplayable in a matter of minutes, he wasn’t sure if the 8th annual Birdies for Charity fundraising event could be played the next day as scheduled. Enter Andrew Stevens, Head PGA Professional at Stonebridge Country Club in Aurora and the club’s Board, who offered up its course as an alternate site and the event was saved. And, the Pros took to the new course like fish to water and set new records for birdies made and dollars raised. 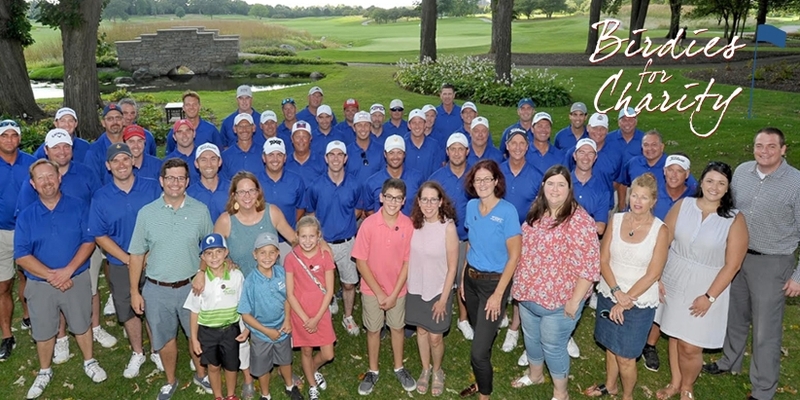 Illinois PGA Professionals made 1,014 birdies to raise $378,000 to benefit children’s charities including Ann and Robert H. Lurie Children’s Hospital of Chicago, JDRF Illinois Chapter, Ronald McDonald House Charities of Chicagoland and Northwest Indiana, Illinois PGA Foundation and bonus charities Cal’s Angels and Folds of Honor. The eight-year event total now stands at nearly $1.4 million raised. Previously, Birdies for Charity were played over 72 holes and this year Pros could play up to 90 holes. With seven more Pros participating than last year plus more holes to play, the Pros made 344 more birdies and increased the amount raised by $108,000 over last year at River Forest Country Club when the Pros made 670 birdies and raised nearly $270,000. The hot, humid conditions did not slow down several professionals who played some incredible golf throughout the day. Garrett Chaussard (Skokie CC) and Brian Carroll (Royal Hawk CC) led the way with 38 birdies each while Curtis Malm (White Eagle GC) and Sean McLeod (Medinah CC) carded 37 and Adam Schumacher (Indian Hill Club) made 36.